At these popular and unique vacation destinations, employees do way more than provide local area information or make dinner reservations. NEW YORK (TheStreet) -- Some luxury hotels and resorts are taking the concept of concierge services to the next level. At these popular and unique vacation destinations, employees do way more than provide local area information, make dinner reservations or book spa treatments. At Woodloch Pines, an all-inclusive family resort in Pennsylvania's Pocono Mountains, every member of the staff is a concierge. Employees are all trained to keep guests happy -- from offering babysitting services to dressing up as cartoon characters. TripAdvisor (TRIP - Get Report) members chose Woodloch Pines as this year's number one best large hotel for families in the U.S. and the sixth best in the world. Reviewers say the staff will "bend over backwards" to accommodate their needs. Travelers with babies get special attention. Babies' meals are not included in the menu, but the kitchen staff will offer to puree any fresh fruit or vegetable for the little ones' breakfast, lunch and dinner. Babysitters are also readily available so the grown-ups can escape to the spa or take the evening off and enjoy performances at the resort's nightclub. Aside from putting on plush mascot costumes, employees perform at the nightly shows and organize all kinds of games and activities. The person leading you to your table during meal times could be on stage a few hours later hosting "Family Feud." John Kiesendahl and members of his family, who have owned Woodloch since the late 1950s, can also be seen walking around the resort, taking care of guests' needs. Kiesendahl likes to amuse kids with his fun outfits, ranging from Bananas in Pajamas pants to LEGO neckties. Although he has more than 1,000 employees, he picks up the microphone during meal times to personally thank visitors and discuss daily activities. Kiesendahl's daughter, Brooke, serves as Woodloch's road trip concierge, helping families plan their trips to the resort. She gives them en-route photo-op suggestions, off-the-beaten-track driving routes and even road trip play lists. Woodloch Pines' guests have a range of activities to choose from -- archery, wall-climbing, go-kart racing and ziplining, to name a few. But what really sets Woodloch apart from other family vacation resorts is the over-the top hospitality of its owners and staff. On one occasion, a war veteran, who was paralyzed from the waist down, visited the resort. His friends all wanted to go on the zip line, so Woodloch's zip line team took him to the top of the hill and used teamwork to help him climb the platforms. 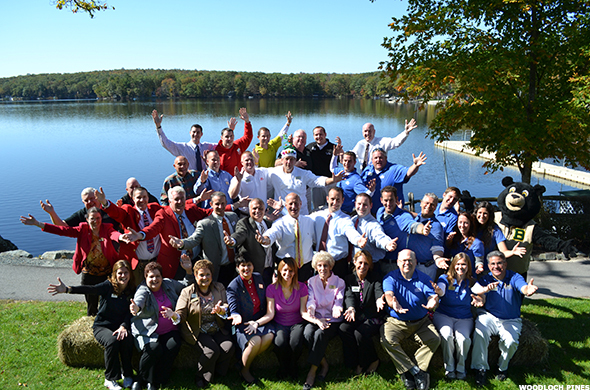 "We made it happen," says Patrick Kiesendahl, Woodloch's social staff manager. "There were tears in everyone's eyes at the end of the zip line. It was an experience that will never be forgotten by both the group and our staff members." 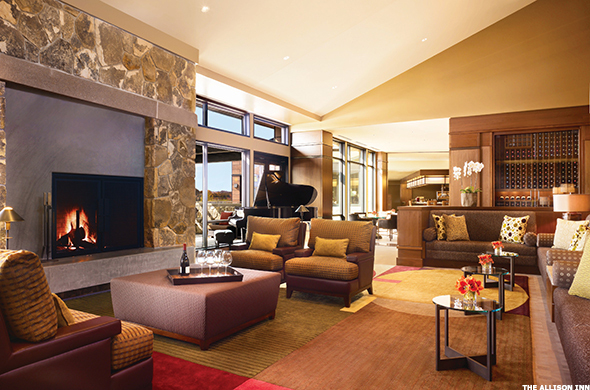 Click through for more hotels and resorts that provide extraordinary guest services. 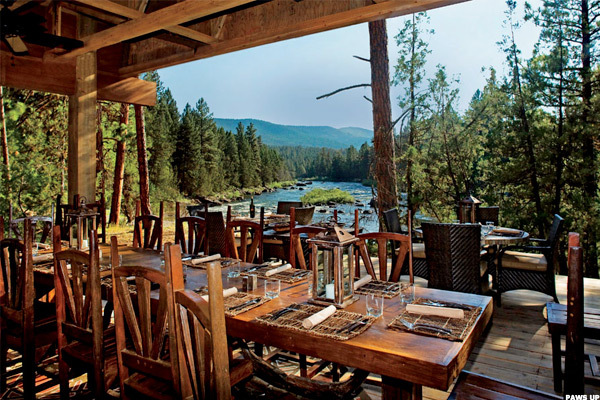 At The Resort at Paws Up, a small army of outback connoisseurs attend to every guest's needs -- from organizing cattle herding lessons and other wildness activities, to assisting camp chefs and serving up a sizzling elk tenderloin for dinner. By the campfire, outback connoisseurs kick-off sing-alongs and make s'mores. Known for its "glamping" (going camping but with glamour) accommodations, the Resort at Paws Up is a 37,000-acre luxury ranch. It offers 30 tented guest rooms spread over six camps that are open seasonally. Tents have en-suite master bathrooms with heated floors, fine linens, chic rustic furnishings, and select tents have clawfoot bathtubs and outdoor Japanese soaking tubs. Some popular resort activities include driving a herd of cattle, rappelling, fly-fishing, hot air ballooning and ATV riding. 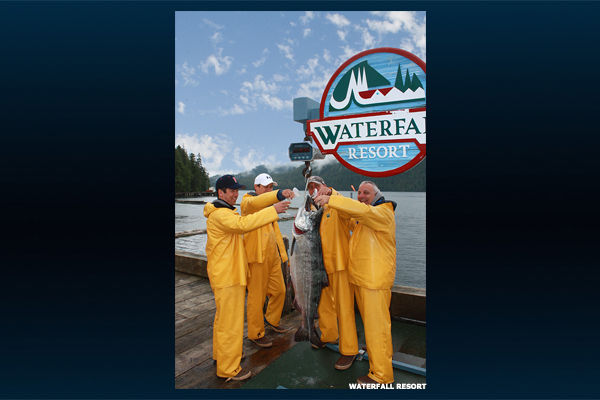 Waterfall Resort is Alaska's most popular fishing lodge. Employees here go out of their way to make sure guests get the unique opportunity of bringing home their catch. After a full day of fishing, members of their fish processing team will clean, cut, flash freeze and vacuum pack the guests' catch. They can also prepare the fish upon request. Additional options include filleting, canning, smoking or mounting for display. On departure day, fish boxes accompany guests as baggage on their flights home (following Alaska Airlines' weight restrictions). For guests who prefer not to travel with their king salmon, silver salmon or halibut, the staff will prepare the fish for shipment and delivery. The resort is all-inclusive and family-friendly and only a 90-minute flight from Seattle. Located in the heart of Oregon's wine country, the Allison Inn & Spa is the only luxury destination resort in the Willamette Valley. Employees at the resort are very passionate about educating guests about Oregon's wines. During most months, the resort hosts a complimentary "Thursday Celebrity Wine-Tender Tasting." Lodging guests and locals gather in an informal setting and listen to the stories behind the vintners and how their wines differ. Although many wineries in the area do not have official tasting rooms, the concierge staff at the hotel will make every effort to schedule personal appointments. Most guests purchase wines during their stay, but due to airline regulations, cannot bring bottles aboard. Depending on the guest's resident state and if laws permit, the staff will make arrangements with the local businesses to ship the wines directly to the guest's home. Hotel Teatro is a luxury boutique hotel located across from the Denver Center for Performing Arts and a block from the Colorado Convention Center. Denver has one of the highest numbers of breweries per capita of any U.S. city. 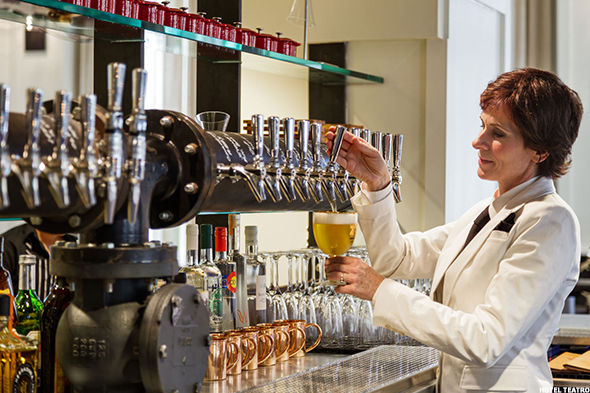 At Hotel Teatro, employees will go out of their way to give guests a one-of-a-kind brewery tour. A member of the concierge staff will arrange for guests to visit some of the local breweries that produce delicious craft beers. Guest will go from brewery to brewery on one of the hotel's custom vintage bikes. The tour is customized based on the guest's beer preferences. 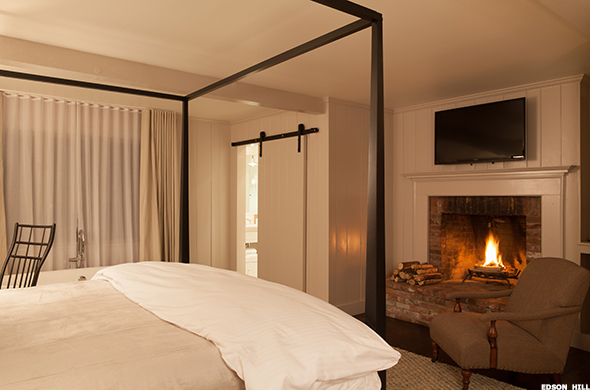 At Edson Hill, a fireplace butler is always available to make sure guest rooms are warm and cozy. He will open the flue, start the fire, and leave guests with wood and matches to keep the fire going all night. The fireplace is the centerpiece of guest rooms at this Stowe, Vermont luxury hotel, which also offers freestanding fireside tubs, farm-to-table cuisine and cocktails from a famous mixologist. Guests have access to an app, ALICE, a digital butler, for ordering room service, requesting turn-down service, and of course, summoning the fireplace butler. It's worth mentioning that the hotel is only an 11-minute drive to world-class skiing at Stowe Mountain Resort. Ever heard of a picnic butler? 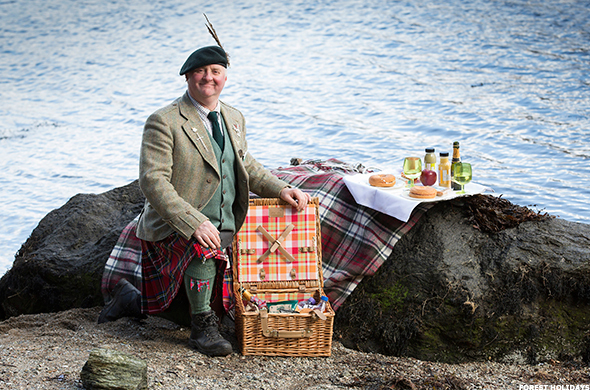 The services of a picnic butler are currently offered exclusively by Forest Holidays at two of its Scotland locations -- Ardgartan in Argyll and Strathyre in Perthshire. Each location is nestled in Forestry Commission land, on the edge of lochs and surrounded by mountains. The picnic butler is an experienced forest ranger and will offer guidance on foraging, making fires, spotting wildlife and outdoor survival. Guests can choose from a range of picnic butler experiences, tailored toward couples or families. Each of the Forest Holidays locations source produce from local suppliers for picnic hampers, including Scottish smoked salmon and bagels made with Caboc cheese (a Scottish classic), Scottish crisps (think: potato chips, but Scottish), Arran cheese and Arran oat cakes. 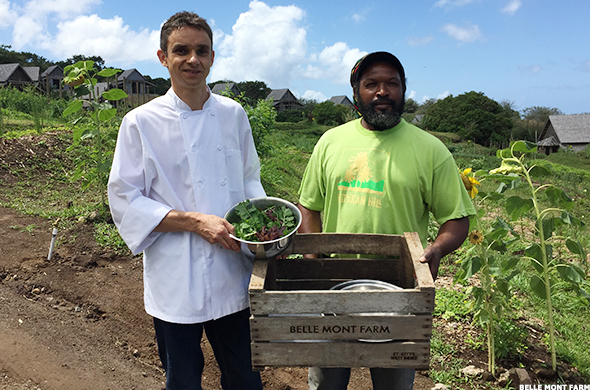 Guests at Belle Mont Farm have the unique opportunity to forage by day with a Caribbean farmer. Rastafarian Tafari Yahson leads the foraging, harvesting and overall management for the 400-acre farm that makes up Kittitian Hill, a new sustainable, organic community in St. Kitts. By night, guests can dine with Yahson and other farmers at an outdoor communal table set among the gardens. Belle Mont Farm is a tropical organic farm with a collection of guesthouses that provide modern comforts, including plush bedding and rainwater showers. The farm features organically grown fruit and vegetables, delivered to the guest's cottage door each morning and transformed into authentic culinary experiences in local restaurants. Determined to add an authentic Italian antique to your own home? The concierge at Palazzo Alvera Altana will make that happen for you and set up appointments with the finest shops in Venice. Even if you've experienced Venice before, the staff will show you the City of Water in a new light with its signature trip planning and concierge service. 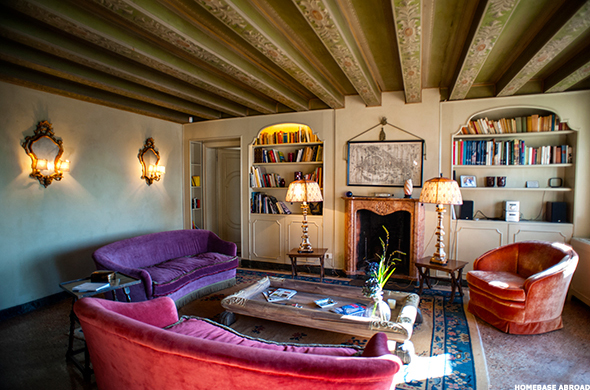 Palazzo Alvera Altana is one of many Italian villas on the roster of award-winning villa rental agency Homebase Abroad. Travel specialists assist with every step of the vacation planning process, from selecting the right destination and choosing the best time of year, to advising on what to pack. At Antigua's Curtain Bluff tennis resort, trainers are available throughout the year to help guests brush up on their skills. Three resident pros, trained in the U.S., teach aptitudes right up to 5.5 (a very high U.S. Tennis Association rating; players rated at 5.5 are nearly as good as the pros). They are ready by 7:00 each morning to take a guest's challenge, pair guests together for a game, or help you work on that backhand. This all-inclusive, luxury resort has four championship tennis courts. Curtain Bluff hosts tennis-oriented events throughout the year, including three multi-day camps -- the Tennis Challenge, Fantasy Tennis Camp, and Antigua Tennis Week. Run by celebrities of the game, these camps combine on-court action (clinics and tournaments) with social gatherings and free time to enjoy the resort's other facilities and local area attractions. 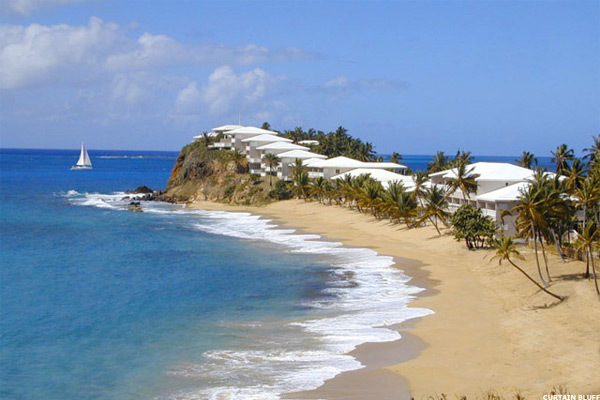 At Curtain Bluff, guests also have access to a few above-and-beyond luxuries such as Cuban cigars and vintage wines (not included in the room rate).